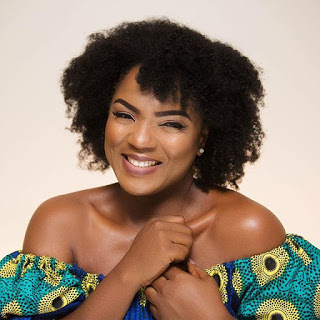 Nollywood actress, Chioma Akpotha has revealed that she is aware people see her as a snub and how attending a girls' only secondary school affected her relationship with men. According to Akpotha, she tries as much as possible to protect herself and that gives people the impression that she is a snob. “When you meet me newly, the first impression you get is that I am cold. But I am only trying to protect myself from people I don’t know. “If I am in a room and I know everyone there, I will be very comfortable and playful. But if I don’t know anyone, I will be cold. I am not trying to blow my trumpet; I am just saying that I need to know you to be comfortable with you,” she said. Despite starting acting at the age of 17, she claimed that she did not indulge in drinking or smoking like some of her peers. She stated, “The way my mother raised us, especially as her first daughter, there was no way I would have lived a wayward life. My late mother would have been a solider if she didn’t have a job. In Igboland, they pay so much attention to the first daughter because she must be an example to the younger ones. Also, I am allergic to smoke and many other things. I act stupidly whenever I am high, which is not good for someone like me in public because I like to conduct myself well. I had friends who questioned why I did not smoke or drink but if you know who you are, you wouldn’t succumb to peer pressure.